Summary: Product handoffs shouldn’t be streamlined. They should be eliminated by putting product data at the heart of manufacturing processes and using software tools to build a production system based on collaboration, not on a cold hard engineering handoff. They say that engineers speak a different language. 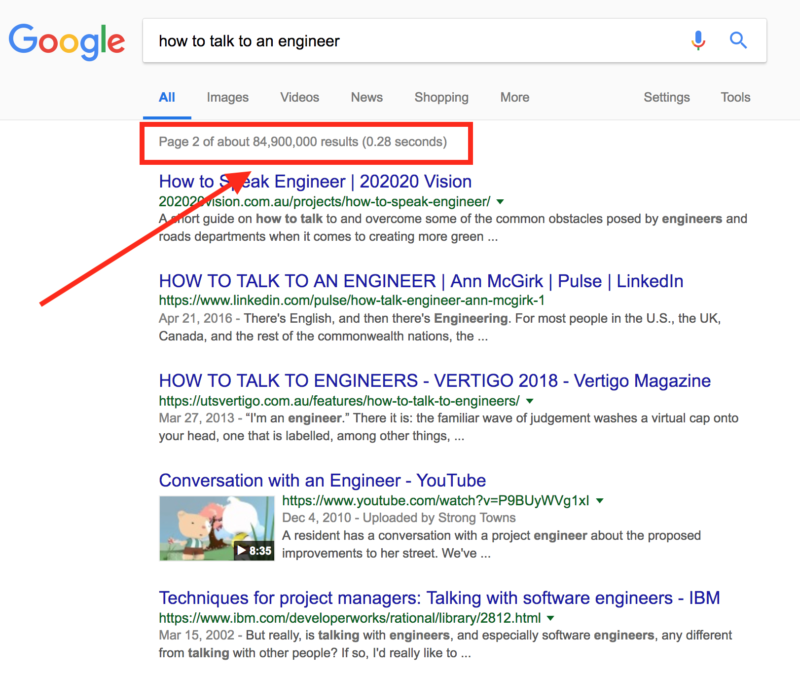 And apparently, it’s something that people are curious about, garnering 84 million results in Google. The manufacturing team doesn’t get the whole picture. Previous revisions aren’t passed along. It requires conversion from a digital form to a paper form (in the case of release drawings). And that’s just taking something from engineering to the floor! Procurement, operations, international sales and marketing – all of these departments have some form of engineering handoff. And inevitably, there are problems. Today, we’re going to look at the state of the engineering handoff, and see if there’s a better way. First, let’s understand what we’re actually talking about. The engineering handoff is when a project moves from engineering to another team, passing data, documents, and ownership from team A to team B. Usually, this involves two big steps. First, moving data or information from one format to another. For instance, imagine you make irrigation systems. Your engineering team might design in AutoCAD, but your machinists work off release drawings. That means you have to convert a PDM, version-controlled CAD file to a book of release drawings that isn’t tied to automated version control if there are changes down the line. This sort of “I wash my hands of this” system is great in theory, which is why it’s so often used. But as any VP engineering can attest, this plan doesn’t translate to reality. Releasing drawings into operations isn’t as simple as converting the latest AutoCAD file in your PDM into a booklet of release drawings. First, that doesn’t pass along the wealth of information stored in the previous revisions. It doesn’t tell the machinist or operations manager there’s a reason why a specific piece of metal goes in a specific location or is cut to a specific shape. Operations end up dictated to rather than collaborating. It means that they have less agency to say: “this is going to be a problem,” causing delays as data has to move back to engineering as a change request or mistakes that could have been designed out early make it into manufactured parts. Second, transforming data from a CAD file to a 2D drawing that’s printed out makes it much harder to control file versions. While a PDM is great for revision control with CAD files, as soon as data moves beyond that vault, it’s no longer linked to the underlying CAD. It’s easy for the wrong file to be used as multiple versions start circulating. Passing over ownership of a project as it moves from engineering to a production environment seems like a no-brainer. Engineering hands off their work to operations when their part is done. Then Operations manages production and hands it off to the customer, or sales, or marketing, or supply managers. Wherever it needs to go. It feels right, doesn’t it? But this system assumes products only go forward. Rarely is a system built for them to go back. But forward-only manufacturing, while a nice thought, isn’t a reality. There’s always some back and forth between different departments and teams, either through natural iteration during NPD or through unplanned engineering changes. So who owns a project if it’s handed off to a plant floor, but then moved back to engineering? Ideally, ownership would transition back, but systems and ways of working rarely accommodate that. What’s more, who’s responsible for ensuring product data is up to date? Just like you can’t put toothpaste back in the tube, it’s difficult to transfer a book of release drawings back into a 3D CAD file. The reality is, ownership is theoretically transferred back via an engineering change to the engineering department, but a now-dated copy of product data persists on the shop floor, making mistakes a lot more likely. Just like we abandoned, Packard Plant-style inventory stockpiling, we need to abandon the idea of the discrete engineering handoff. Instead, manufacturers need to focus on collaboration and shared product data, from the first nut to the final bolt. They need a system where instead of product data fundamentally moving from, say, an AutoCAD file to a 2D release drawing, it’s always linked to the underlying CAD metadata. Revision control and archived data aren’t just for the engineering department. It’s for the entire product development lifecycle. 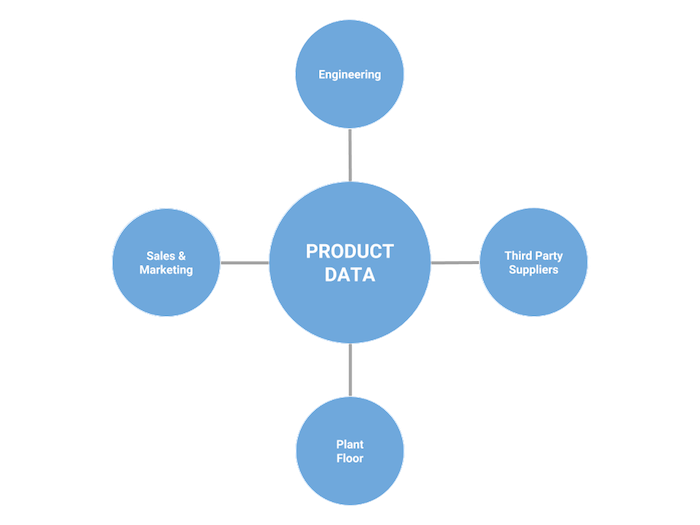 Product data should sit at the heart of processes and teams. Of course, this is a fairly lofty goal. 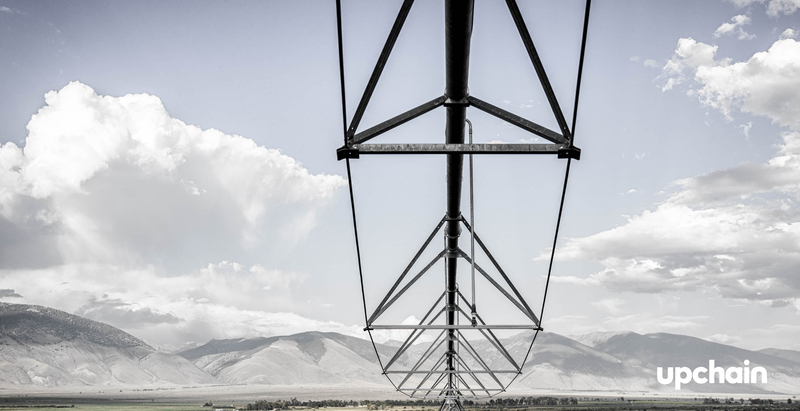 And like all lofty goals, it doesn’t address the reality of complex infrastructure projects or major irrigation equipment manufacturing. Fortunately, there are things manufacturers can do to bring their reality closer to this ideal. CAD files convey a huge amount of information – but that information remains locked inside engineering departments. Manufacturers need to build processes and workflows based on CAD metadata, rather than processes that rely on data replication beyond a version-controlled environment. In short, there should never be confusion over what the “right” file version is. It should always be the CAD metadata that’s version-controlled by the engineering department. Seeing an item in an exploded 3D viewer is far more useful than seeing a release drawing of the same thing. While there is a place for 2D schematics, the ability to see what the thing you’re building actually looks is hugely informative for a range of product stakeholder. … which propagates even more uncontrolled versions of the same data. Organizations need tools that allow users like machinists, plant managers, suppliers, and other product stakeholders to see up-to-date product data, in a version-controlled way. Organizations need to move away from paper handoffs. Creating a cohesive, collaborative product development lifecycle means going digital. Devices like tablets or laptops need to be where manufacturing happens, not on a separate floor or exclusively in a different office. A solution that allows CAD files to be marked up and shared with engineering. A software environment where additional files like photos or comments can be easily incorporated. An interface that’s familiar and easy to use. Integration with tools they already know, like email and MS Excel. Handoffs between departments is a red herring. We don’t think it’s a question of making an engineering handoff faster, better, or more efficient. It’s about eliminating them all together. If organizations can connect the product data that engineering generates to departments beyond engineering, without propagating manually created and controlled file formats and versions, they can take a big step towards collaborative product development. Files remain version controlled using traditional engineering processes, but additional stakeholders can see them in 3D CAD to review, mark up, and approve as products move down a development workflow. Suddenly, engineering isn’t passing completed files to manufacturing but is working collaboratively with them to deliver a better product to market, faster. Got questions about how cloud PLM can help streamline your engineering handoff? We’ve got answers. Get in touch and see what Upchain can do for you.